A scary, shape-shifting, creature is coming our way. Is that a sea monster or a new whisky from Ardbeg? You’ll need to be an Ardbeg Committee member to find out. If you’re a fan of Ardbeg – and we know you’re out there – but you’re not a committee member then you could be missing out on some of their limited edition releases. The Ardbeg Committee is effectively their fan club and each year members can buy exclusive bottlings through their online shop. This year's release, Ardbeg Kelpie, will be available on 16th March so it’s not too late to sign up in time to buy a bottle. Most Committee bottlings are later available on general release but usually at a lower ABV - the Committee Edition of Kelpie will be bottled at 51.7%. The not-so-crytpic messaging on Ardbeg's website indicates that Kelpie will be the Ardbeg Day bottling for 2017, which takes place on 3rd June this year. 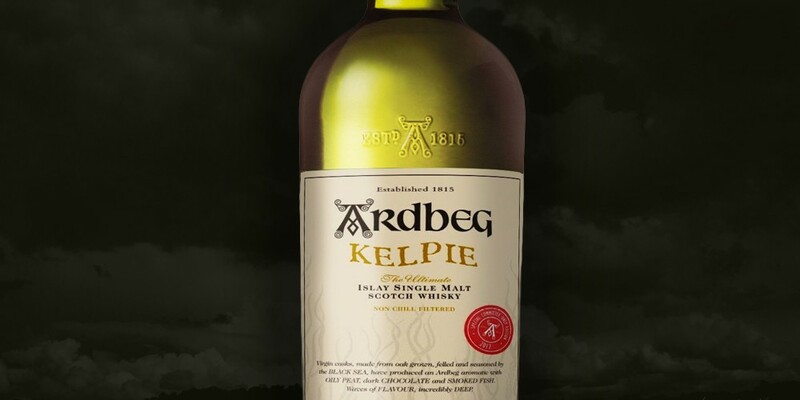 So what can we expect from Ardbeg Kelpie? The label suggests we can look forward to "oily peat, dark chocolate and smoked fish" with "waves of flavour, incredibly deep". And nighted travelers are allured to their destruction." Kelp is also the name of a variety of leafy seaweed, and it's surely no coincidence that seaweedy-notes are one of characteristic of Ardbeg's flavour profile. See what they did there?